Visiting Istanbul which is the capital city through Byzantine and Ottoman empires by a guide who cares with everyone as individual. Your English speaking guide will come to pick you up from your hotel at around 8:45. 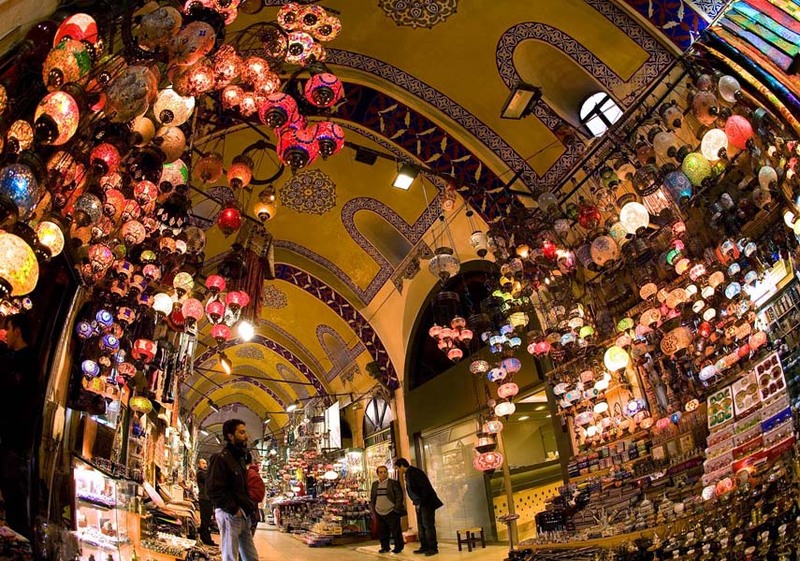 Tour of "Sultan Ahmet Center", the heart of the "Old City" from where the Byzantine and Ottoman Empires were ruled, Sultan Ahmet mosque which is also called as ‘Blue mosque’ because of colour of the mosaics in mosque. This mosque is one of the best example of Islam architecture. It is constructed between 1609-1619 by Sedefkar Mehmet Aga who is the student of very famous architect Sinan in the reign of Sultan Ahmet 1st. 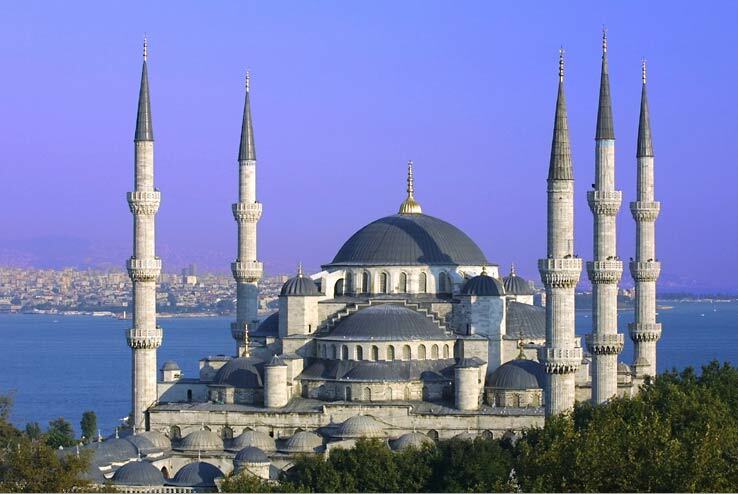 The historian say that this edifice which has 6 minarets is the perfect expression of Turkish Islamic art. facing with Hagia Sophia which is the famous by its blue Iznik tiles and unique by 6 minarets, is built in the name of Sultan Ahmet.The last great imperial mosque of the classical period. its name comes from 20.000 marvellous blue-toned Iznik tiles decorating its interior walls. One of the greatest marvels of architecture, constructed as a basilica in the 6th century by Emperor Justinian which is built in 537. St.Sophia has been the largest cathedral in the world for nearly a thousand years; it is considered the masterpiece of Byzantine architecture. 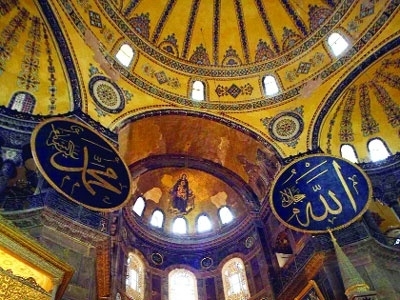 After having been the Patriarchal basilica of Constantinople, it was converted into a mosque in 1453 by Sultan Mehmet II. Who is the Conqueror and turn into a museum by Atatürk in 1935. 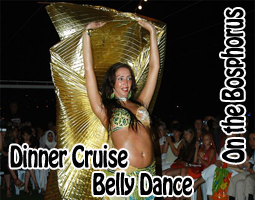 Center of sportive (chariot races, athletics) events and political activities of the old city. 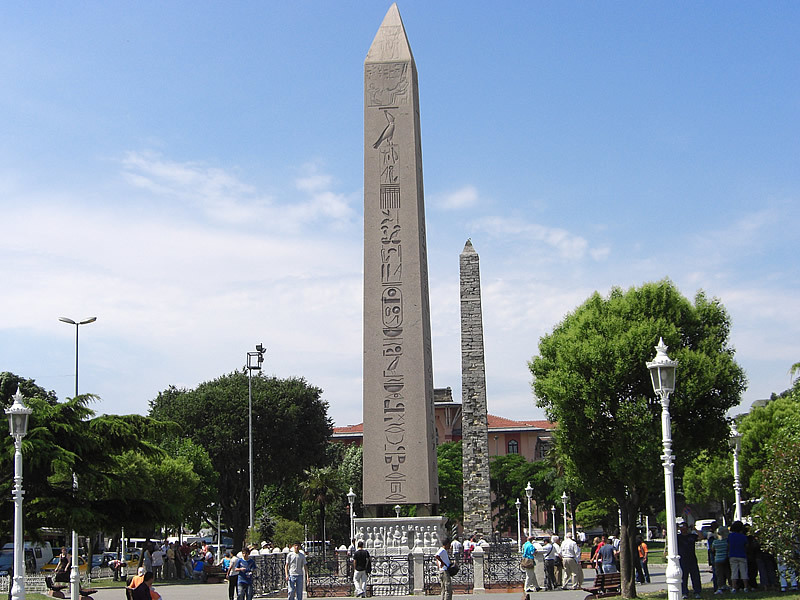 Obelisk of Theodosius, Serpentine Column, German Fountain of Wilhelm II are the monuments decorating Hippodrome. 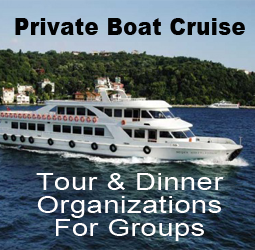 Lunch is not included in this tour but our guide will suggest you some restaurants to eat a good Turkish meal. 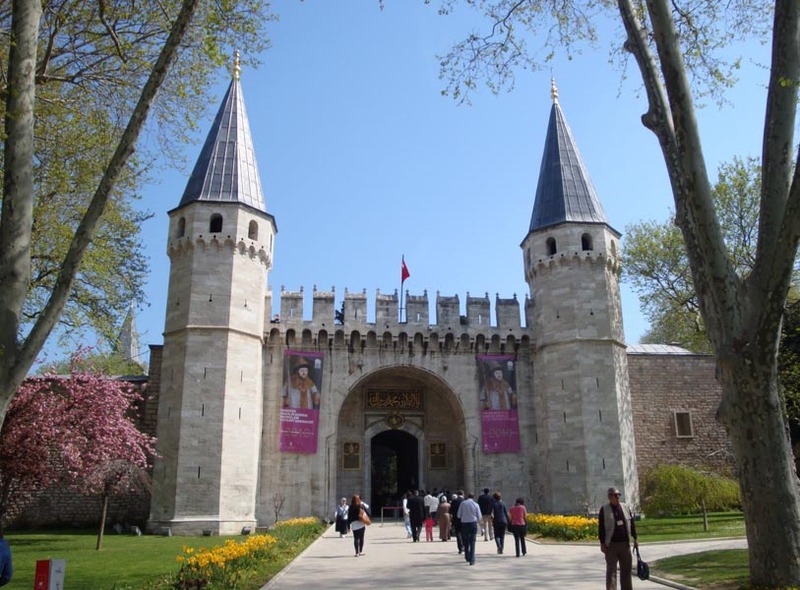 This extraordinary and secret palace is the residence of the Imperial Ottoman Sultans and the center of the Ottoman might for nearly 400 years.The building is a typical example of Ottoman architecture and the rooms exhibit rich collections of porcelains, robes, weapons,shields,armors,Ottoman miniatures, Islamic calligraphic manuscripts as well as Ottoman treasures and jewellery. St. Sophia is closed on Monday.